If you’re like us, there are few things scarier than the sight of your mobile facedown on the pavement. No one wants to fork out hundreds of pounds unexpectedly. But it’s not just the thought of replacement costs that are scary. Your mobile is more than a communication tool. It's a part of daily life. And things get weird without them. So it makes sense that you’d want to ensure that your mobile is protected should the unexpected happen. For many people, this means picking up mobile insurance. But is this really the best way to protect your gear? We'll share what we've discovered, starting with the basics of how mobile insurance works and highlighting the pros and cons. From there, we’ll offer alternative suggestions that might help you save money while still keeping your mobile safe. What's Covered By Mobile Insurance? How Much Does Mobile Insurance Cost? Is Mobile Insurance Right for Me? Who Offers the Best Mobile Insurance? Mobile insurance is just like any other type of insurance you’d purchase. You buy a plan—either by way of monthly subscriptions or an upfront payment at the time of purchase. Should something happen to your mobile, you’ll receive compensation after paying your excess. You’ve probably seen these plans lurking around on your network’s add-ons page. You pay an additional fee each month for each device you want covered. When you need to make a claim, you contact your network, pay a excess and they ship a replacement. Some also allow swapping your damaged mobile at a network store. These options are newer but gaining popularity. They work much like a network-based subscription, only you’re paying a different company. Costs are billed separately, so you’ll have one more bill to keep track of. However, most offer extra perks you won’t find with networks. Many banks offer mobile protection for an added fee each month. They often add to the manufacturer’s warranty—both in what they cover and how long you’re protected. Excesses—the fees you must pay if you make a claim—vary between companies. As does the max claim amount. But in most cases, excesses are lower than insurance plans. However, it's important to consider more than just mobile coverage when choosing one of these bundled accounts. To get the most value, find an account that offers services you'll use regularly at the lowest price possible. If you're counting on your benefits to cover multiple mobiles, be sure to check benefit terms and max claim limits to ensure you have adequate cover. Battery Replacement: As a mobile’s battery goes through charging cycles, it slowly loses the ability to hold a charge. Many warranties will replace a battery upon request if it’s no longer holding a charge. Loss or Theft: Should you misplace your mobile, or someone swipes it, you can pay your excess and receive a replacement. Accidental Damage Protection: If your mobile slips off the table or you drop it on the sidewalk, you’re still covered! Did your dog run through and snag a cable and now your headphone jack or charging port doesn’t work? They’ll fix it! Water Damage Protection: Some plans treat water damage differently. In fact, a lot of plans don’t cover it at all. But there are some plans that do. With water damage protection, there’s no need to fear accidental dips in the pool or runs through the wash.
New Mobile Setup: Some insurance plans will help you to get your data and settings from your old mobile to your new one. While most smartphones store most of your information online anyhow, these services add peace of mind and reduce hassle. 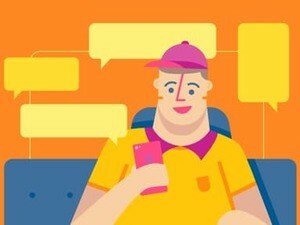 Specialized Support: Should you have a question about a feature on your mobile or how to set up apps, some insurance plans feature dedicated support lines without the queues of standard customer support options. NOTE: Many insurance plans have exemptions for blatant abuse or negligence. An insurance plan doesn’t give you a reason to throw your mobile out the window or intentionally take it for a swim. If you do, you might find that your claim is denied. So I Just Make a Claim and They Send Me a Brand New Mobile? If they can fix it, they’ll do so and send it back. Service usually takes between 3 to 10 business days. If they cannot fix your mobile, you’re issued a replacement. In most cases, this is a refurbished device. Service is typically a little quicker and some providers will even ship out a replacement before receiving your device. If they cannot fix the mobile and it’s no longer in stock, you might receive a completely different model they deem to be of equal value. You can read about the perils of this over at PC Gamer. Long story short, unless they can fix your mobile, this outcome probably isn’t as good as you’d hoped. This saves the cost and hassles of shipping and can have you back up and running the same day. However, in most cases, the plans you purchase from retailers are more expensive. NOTE: Some insurance and protection plans do not cover issues during travel. If you’re planning to explore the world, be sure to check if you’re covered before taking off. You might be better off picking up a cheap prepaid mobile and leaving your main mobile at home. You’ll likely pay cheaper rates at your destination to use your mobile with a prepaid or travel SIM, and if it breaks or is stolen, you’re not losing hundreds of pounds. I Already Have Home Contents Insurance. Can I Use That Instead? In some cases, yes. However, you should contact your insurance provider before counting on this option. Some will require an addition or specific cover on your policy to cover your mobile. Even if they agree to cover your mobile, it might not be worth it. While mobiles are expensive and, for many, an essential tool, the cost of a new mobile is likely less than the increased premium you’ll pay for months or years after a claim. However, one situation where this might work is a major loss, such as a fire, flood or if someone steals your mobile, laptop and camera. Even if each item was insured separately with protection plans, individual excesses could pile up fast. Paying more for your insurance for a while but only having one excess might end up cheaper in the big picture. Manufacturer’s warranties are great but only cover defects. This means if you drop your mobile or lose it, your warranty won’t help. However, if your mobile isn’t working through no fault of your own, it might be an option to try. Most will require you to ship the device back to them—sometimes at your cost—and they’ll either repair or replace it. This is better than insurance in the sense that you’ll likely get your exact mobile back or a replacement of the same model. But it might take a week or two to get back up and running between repair times and shipping. Insurance prices vary depending on the company you choose and the type of device you need to insure. 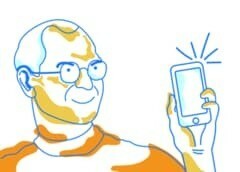 For example, some companies charge more for a plan or increase excesses for flagship mobiles or other high-end devices. Most third-party subscription plans are comparably priced between £10 and £20 per month. As an example, Apple offers two years of coverage for an iPhone 7 for £119. That breaks down to only £9.92 per month. But remember, monthly costs are only one part of the picture. If you need to make a claim, the insurance company will ask for a excess as well. As with monthly fees, excesses often vary depending on the value of the mobile. In most cases, unless you’re using a very basic mobile, you can expect excesses to be near the higher end of these scales. Many of the subscription based services and protection plans have excesses between £25 and £79. As you can see, even with insurance, replacing your mobile still won’t be free. In some cases after excesses, you might even pay more for your replacement than picking up a used one online. So Is Mobile Insurance Really Worth It? You own the latest option from Apple or Samsung. This puts you in the highest tier for excesses on an insurance plan, but you want to protect your device—especially with its £600+ price tag. You sign up for insurance and at month 8 disaster strikes. You’ve already paid £64 in monthly premiums. Now you need to pay a excess of £79. So your out-of-pocket replacement costs are £143—roughly 25% of the cost of buying a new one retail. Where the math gets tricky is refurbished replacements. For example, if a refurbished version of your new mobile is selling for £400. Then your savings decrease. This isn’t much of a concern with major brands, such as Samsung, Apple or LG, as their mobiles hold their value well. But if you’re using an expensive model from a lesser-known manufacturer, you might find that buying a refurbished one yourself is cheaper than the cost of monthly insurance payments and a excess. 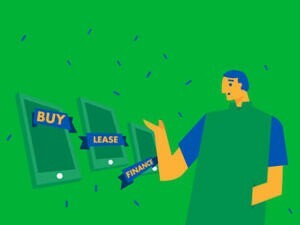 You signed up for a contract and got a great deal through a mobile subsidy or financing. You only paid £79 for the mobile, but you must stick with the network for two years or face hefty fees. A £79 mobile shouldn’t be too hard to replace, so you skip the insurance. Six months later, you’re washing dishes and your mobile slips off the counter and into the sink. You call up your network to see about another £79 mobile only to find out that the replacement will be at full retail value--£549! Ending your contract early isn’t much cheaper. 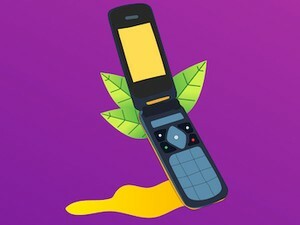 So, unless you want to pick up a cheap mobile that isn’t nearly as nice as what you had, you’re left spending a bunch of money to replace it, paying an expensive termination fee or paying for a line of service each month until the end of your contract but not being able to use it. You tend to buy whatever’s affordable and will get the job done. In most cases, you’re unwilling to pay more than £200 for a mobile. But you do like a capable smartphone. You jump for the insurance because it should save you money. After 8 months, your son tries to flush your mobile down the toilet. You’ve already paid £64 in monthly premiums and now you’re looking at a excess of £79 because while your mobile isn’t exactly new, it’s still a full-featured smartphone. So your out-of-pocket replacement costs are £143—roughly 72% of paying retail prices for a new replacement. Here’s where refurbished replacements cause bigger problems. There’s a good chance your refurbished replacement was actually cheaper to buy yourself than replace through your insurance. In this example, you’d have paid 72% of retail for a device only worth 70% of retail at best. To make matters worse, if your model was older, there’s a good chance that your replacement won’t even be the same model that you had before. You don’t want a fancy mobile—just something reliable. So you find a deal for a £59 mobile and grab it. You figure insurance is a simple way to save money replacing it if something goes wrong. After 8 months, you leave your mobile on the roof of the car as you pull out of the driveway. SMASH! You’ve already paid £64 in monthly premiums. They still want a £29 excess. So your out-of-pocket costs are £93—roughly 57% more than just popping by the store to pick up another cheap mobile. As you can see, insurance values vary—largely based on the price of your mobile and how quickly you need to make a claim. Once you reach mobile prices around £299, value you’ll get from insurance depends on how long you have insurance before you need to make a claim. But using the average figures from above, if you have insurance for more than 12 months, you could likely buy a new mid-tier handset for the price you’re paying for insurance and excesses. For the budget tier, you’re not really saving any money on replacement after just a few months. You’re likely better off just replacing the mobile out of pocket if you break it instead of gambling on if you’ll beat the math on insurance. If you've decided you want mobile insurance, the next question becomes: which insurance provider to choose? The answer to this depends which mobile you own. For iPhones, Apple’s AppleCare+ is actually a pretty amazing deal. But you’re limited to two accidental damage repairs and you’ll still need to pay out of pocket. Still, £119 upfront with a £25 screen repair fee is still less than a year of insurance through networks after excesses. For other Android and Windows mobiles, you’ll want to look at the section above and decide between an insurance plan or a protection plan. However, if you’re simply looking to replace a mobile that’s been dropped or otherwise broken, a protection plan will likely save you some money. Are There Any Alternative to Mobile Insurance or Protection Plans? There’s a good chance that at some point, you’ll damage your mobile—even if just cosmetically. Without insurance, you might think that your only option is to buy a new one. That’s not true. These options might be able to get you back up and running cheaper than replacing your mobile. Just because you don’t have insurance, doesn’t mean that the manufacturer or local electronic shop won’t repair your mobile. You’ll just pay out of pocket for the fix. Also, if your mobile is lost or stolen, you can’t repair something you can’t find. In some cases, repairs are more affordable than you might think. For example, Apple will repair a cracked iPhone 7 screen for £156.44 even without coverage. The best rates are often found at local mobile or electronics shops. However, before you hand over your mobile, see if they’re licensed by the manufacturer. If they’re not, repairs will void your warranty. Then again, if it's already broken, the warranty isn’t doing you much good either. Coverage amounts vary. If your card doesn’t include enough coverage for the full price of your mobile, you might need to cover the difference out of pocket. In most cases, you’ll start the claims process by calling your credit card provider instead of your network or the device manufacturer. If something happens to your mobile in the first few months, you’re probably not going to have much choice but to front replacement costs. 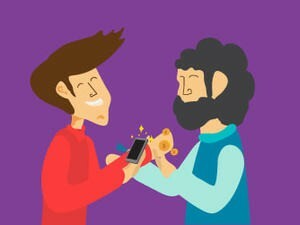 Take the price of your mobile and divide it up into payments. Instead of paying your network or a plan provider, put the money somewhere safe—and out of your main bank account—so you don’t spend it. If your mobile breaks, you should have savings built up to replace it. If your mobile doesn’t break, you can use your stash for your next upgrade and start again. This is by far the most efficient option. 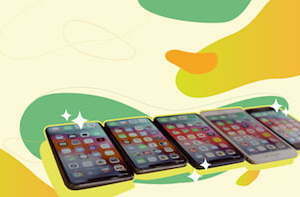 You won’t pay any extra fees and you have the freedom to replace your device with anything you’d like if something goes wrong with your existing one. In fact, if you keep the money in an interest-bearing savings account, you might even make a little money in the process! For example, if you’re stashing money to replace an iPhone 6s, the current price from Apple is £499. Divided into 12 payments, you’re looking at just over £41—less than a night out on the town or a family dinner at your favorite restaurant each month. Even if you only made it to the 6 month mark before disaster strikes, you’ll have saved up £246. So that leaves you adding £253 to your stash to buy the replacement. 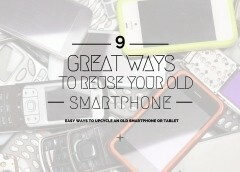 You can also sell your broken mobile or recycle it to add to your savings. An iPhone 6S with a broken screen still fetches between £59 and £129 on eBay. So after that, you're only paying £100 to £200 to replace your £500 mobile. Toward the low end of the scale, this rivals the excesses from many insurance covers. If your mobile survives until upgrade time, you can sell your used mobile after upgrading to jump start the savings toward a new replacement fund. Mobiles are getting more complex—particularly with waterproofing methods—so you might think twice before doing a repair yourself. Even if you feel comfortable repairing it yourself, you might also run into issues finding parts. We recommend checking iFixit’s database of mobile repair tutorials before trying to fix any mobile problems. They offer step-by-step guides and videos for a range of popular devices. Always check the fine print to see how they will compensate you for your device. 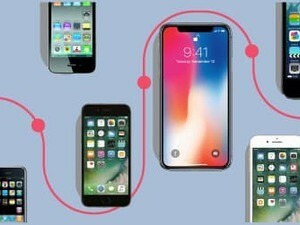 Many plans use refurbished mobiles or even different models entirely. P.S. Found this article after your mobile was already lost, stolen or broken? Our Guide to Buying a Used Mobile can help you find a good deal on a reliable used option instead of shelling out the money for a new one. You can use the savings to kick start your stash toward the next upgrade or replacement!